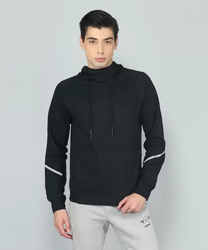 We are one of the leading manufacturer and supplier of Knitted menswear, We are suppling wide range of quality products with efficient pricing. We deal in Foriegn queries only. Fill your wardrobe with vibrant colors with our new range of Mens Pullover & other Pullovers. The size & quality can be produced as per buyer requirements. Knitted Menswear are being manufactured, supplied and exported by us at industry leading prices. These are widely demanded and admired amongst the customers for their sheer quality and long life. Being extremely fashionable and exquisitely designed these Menswear have made us to achieve a benchmark position in the industry. We are the best dealers of the gents wear like men knitted wears. We offer high quality range of Men Non Woven Knitted Wear. These are crafted and stitched at our state-of-the-art manufacturing unit with the help our experienced professionals while keeping in mind the diverse needs of the clients. These are available in various designer patterns and eye catching color combinations. We are the main manufacturers, exporters, and suppliers of Mens Knitted Garments from Ludhiana, Punjab. The Mens Knitted Garments that we offer are of the finest quality, and comfortable to wear. These Mens Knitted Garments are extensively in demand as it gives a different yet unique look to the personality. As for the price, they can be availed at economical rates in the market. We offer our customers a wide range of Mens Knitted Wear. Our exclusive collection of Men Knit Wear imparts a high fashion appeal and are designed at par with latest fashion trends. Available in plain as well as exquisite designs these are comfortable to wear and known for their shrink and wrinkle resistance. We are offering a diverse variety of Men's Knitted Wear. 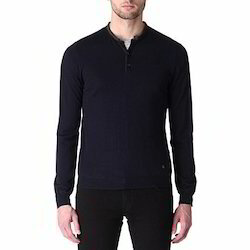 These Men's Knitted Wear are made from superior quality material. We are offering a diverse variety of Men's knitwear. These are made from superior quality fabric with matching threads.